Last edited by Larisa; 28.10.2010 at 23:21. *The Vista Service Pak 2 needs the installation of Vista Service Pack 1. Last edited by Larisa; 28.10.2010 at 23:22. 1.) [DEMO - Game] Demo cannot be installed / does not start. 2.) [DEMO] Error message cudart32_30_9.dll not found. 3.) [DEMO] Monitor reports "out of range" - black screen, game runs in background. 4.) [DEMO] ATI graphics card HD4... and floating vegetation. 1.) The game cannot be started after the installation. 2.) Manually turn off/on the Autoupdater after the installation. 3.) The installation takes forever, is there a way to speed it up? 4.) The installation gets stuck at the setup of PhysX. 5.) Error message: "Arcania no longer functions" when Arcania is started. 6.) The Auto-Update does not work. 7.) The game freezes, as soon as I load a savegame. Last edited by bigsnappy; 12.11.2010 at 21:00. The installation does not work. For instance, immediately at the start an error message appears. When you have Vista or Windows 7, restart your PC after installing the game. Then start the game (demo) as an administrator. On some systems the problem may be caused by the sound card. As a result, the game will only start in 24bits/48000 Hz or 41000 Hz mode. Upon values below or above that, the system will crash immediately. The last tab of the Speaker Properties dialog is called Advanced. Here you can change the bitrate (bit) and the frequency (Hz). Last edited by bigsnappy; 28.10.2010 at 21:29. Normally it helps to restart the system. however, windows explorer isn't informed about this. Solution: log out of windows and log in again, or restart windows. Last edited by Larisa; 10.05.2011 at 23:40. The resolution in the game is higher than the maximum of the monitor. Thus, the monitor cannot depicture the game. To change the resolution, one would have to enter the options menu of the game, but this menu is not visible. Right click on the arcania-demo starter icon. Enter the compatibility menu and select the "windows server 2003 SP1" compatibility mode. In the same menu: select the screen resolution 640x480. Click "accept" -> "ok". Start the Arcania Demo: now you can enter the options menu and select a resolution that is supported by your monitor. Last edited by bigsnappy; 10.11.2010 at 21:28. With some graphics cards (especially cards from the HD4... series) it can happen that grass and plants float in the air. This is a graphics bug. In most of the cases the driver below here should solve the problem. The installation of the ATI catalyst driver (from version 10.8 onwards) is highly recommendable. Last edited by bigsnappy; 10.11.2010 at 21:52. You have installed an older version of the virus scanner "AVG". Deinstall the virus scanner and install a newer or the latest version, or another free software like "avast". The Firewall blocks the start of the game. Deactivate the Firewall when playing. You haven't installed the game in the standard folder, but in another folder chosen by you. 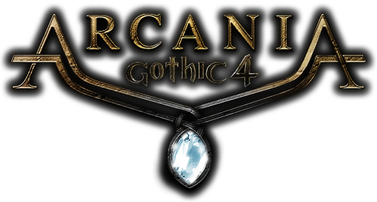 Deinstall the game, restart your PC and reinstall the game in the standard folder proposed by the Arcania installer. Last edited by bigsnappy; 12.11.2010 at 20:22. I have installed the game, and have set the "Autoupdater"-function to "manual" or "off". Can I still change this afterwards? For those of you, who don't want to activate the Arcania Updater in the registry by hand, I have made this *.reg-file. Just click on it, confirm, and the key will be automatically deleted. Independent of the path (DSS or DigitalSoftwareService), the key will be deleted. Last edited by bigsnappy; 12.11.2010 at 20:46. The installation takes forever, is there a way to speed it up? Copy the DVD content in a folder on the hard disk drive. Install the game from this folder. When you start the game for the first time: start from the DVD. Last edited by bigsnappy; 12.11.2010 at 20:59.